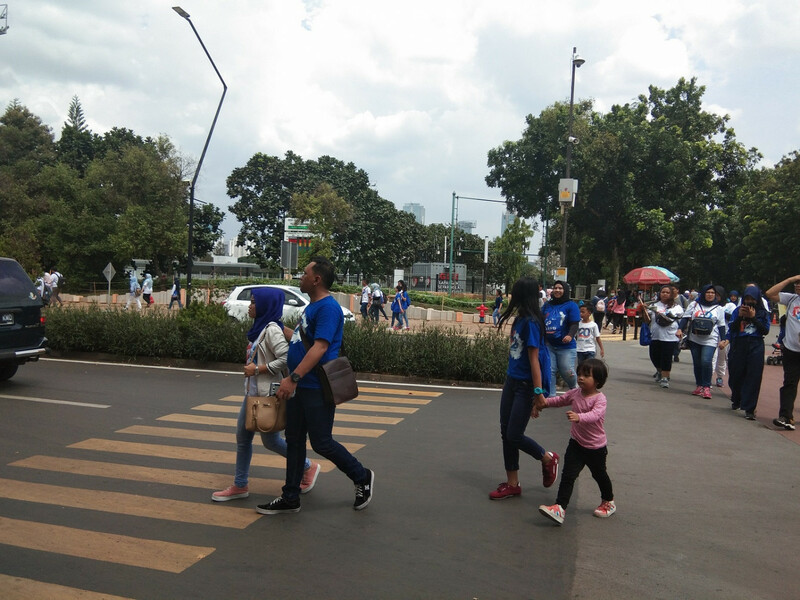 A video poking fun at a “bizarre” zebra crossing near Gate 10 of the Gelora Bung Karno (GBK) sports complex, Central Jakarta, went viral recently. The video shows a woman in sportswear crossing the road, but she has to stop halfway because a road divider with plants around 40 centimeters tall cuts through the middle of the zebra crossing. The woman then pretends to prepare to jump over the divider, while the man behind the camera says jokingly, “The design [of the zebra crossing] requires pedestrians to be good at sports as they have to jump to cross the road.” Both of them eventually walk around the divider before using the zebra crossing again. The video was uploaded on Gusti Fauzi M Gafli’s Facebook account on Dec. 10.